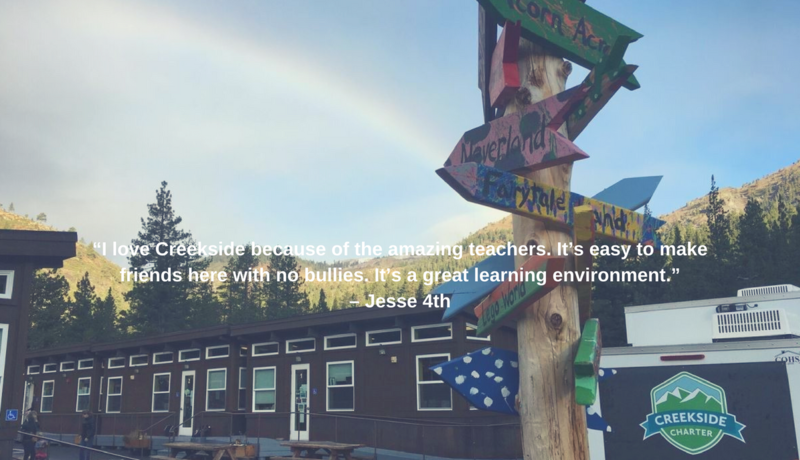 Creekside Charter is a TK through 8th grade free public school located in Olympic Valley, CA serving students from Truckee, Tahoe City and surrounding communities. 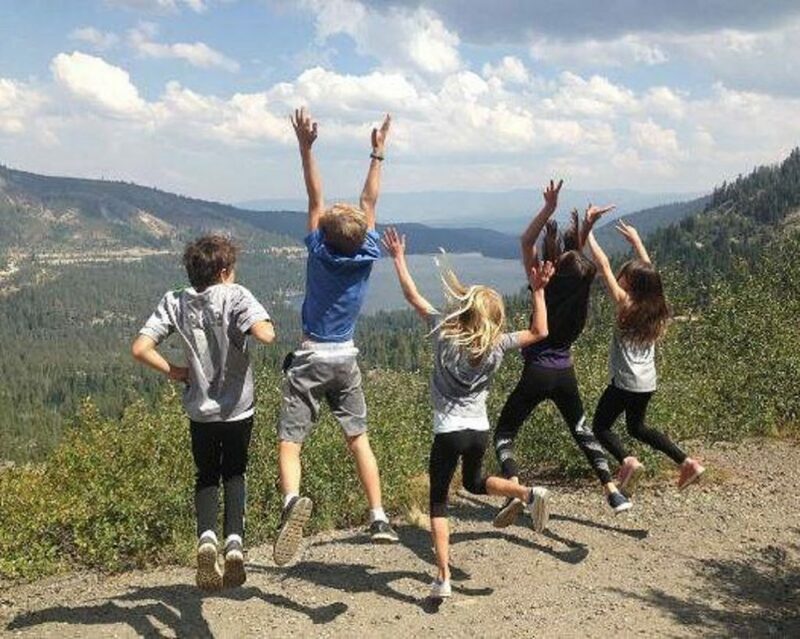 Our dynamic, collaborative learning model emphasizes experiential instruction, social and environmental consciousness, and an awareness of each student’s unique potential. Students are empowered to become positive contributors to society through partnerships with education specialists, parents, peers and the community. Creekside academics inspire the greatness in each student and look to challenge, support and celebrate individual academic and outside passions. At Creekside, relationship building and the team effort between staff, students and families is unique, leading to empowerment in our kids’ education. 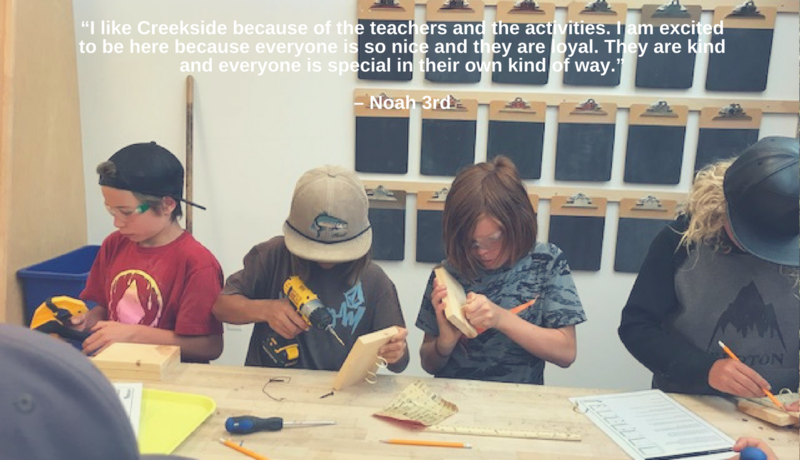 By encouraging students to discover and pursue their interests, talents, and passions, Creekside Charter School and its community partners enable students to become self-motivated, competent, lifelong learners who are active contributors to the community, while pursuing academic excellence. 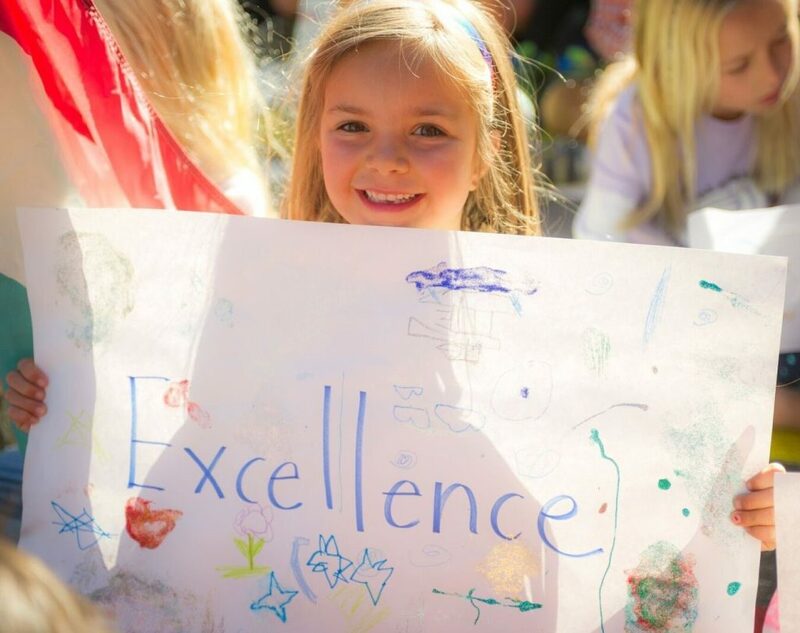 Creekside Charter Management is committed to nurturing the whole student by cultivating high academic achievement and strong social development in grades transitional kindergarten through 8th grade. 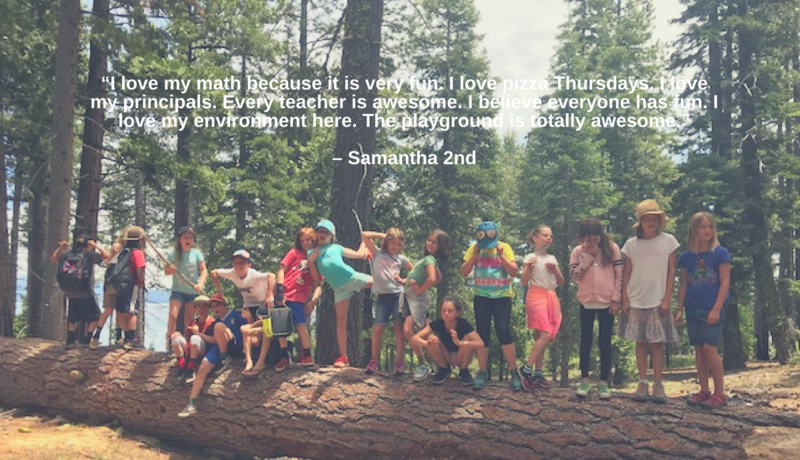 Utilizing our proximity to Squaw Valley and the surrounding area, Creekside has practiced a philosophy of education to infuse direct experiences with the learning environment and content. We believe hard work in the classroom combined with the flexibility to pursue one’s passions allow students a pathway to greatness. Our community of engaged learners will challenge the norm while appreciating the structure that a site-based independent program offers them. Our campus belongs to our students, and we seek to create structure that supports this independent mindset. 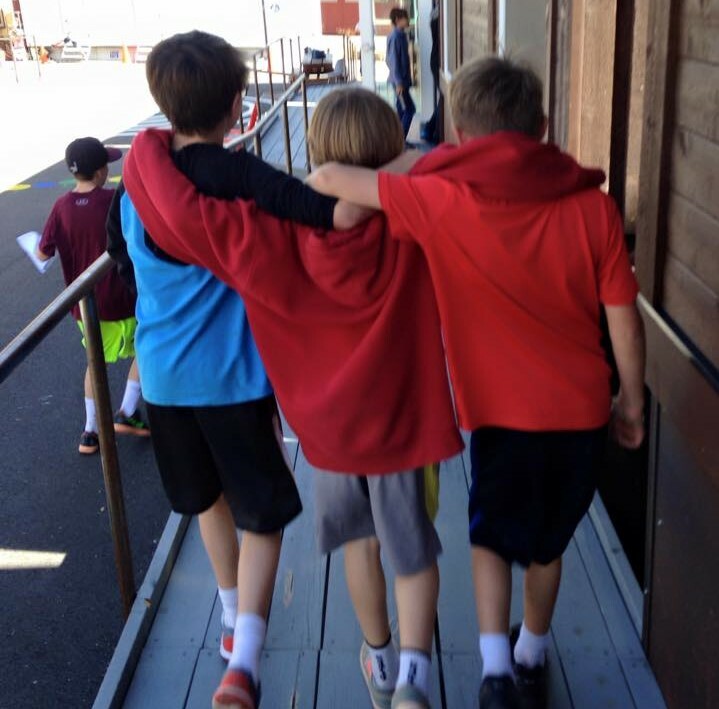 Creekside Parent Information Tours are complete, but private tours are always welcome. Contact our Executive Director at jkraunz@creeksidesquaw.org to arrange. Visit with our Director, parents, and students. 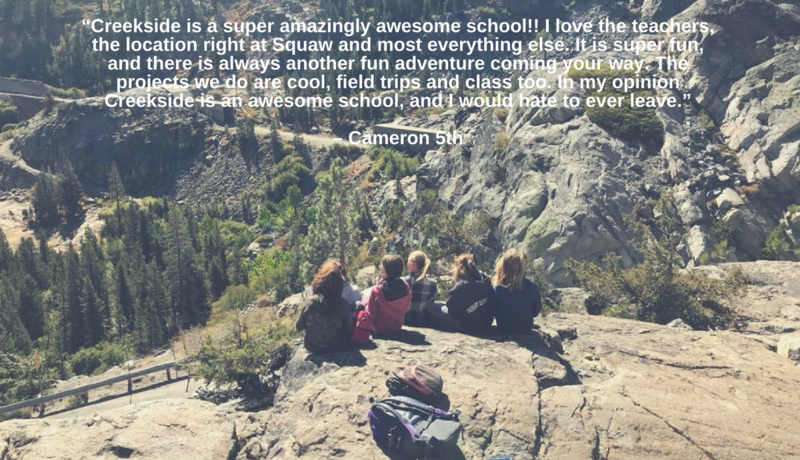 See our students enjoying and learning at our beautiful Squaw Valley campus. Enroll Now for the 19-20 school year lottery. Lottery will be held Monday, March 25th.